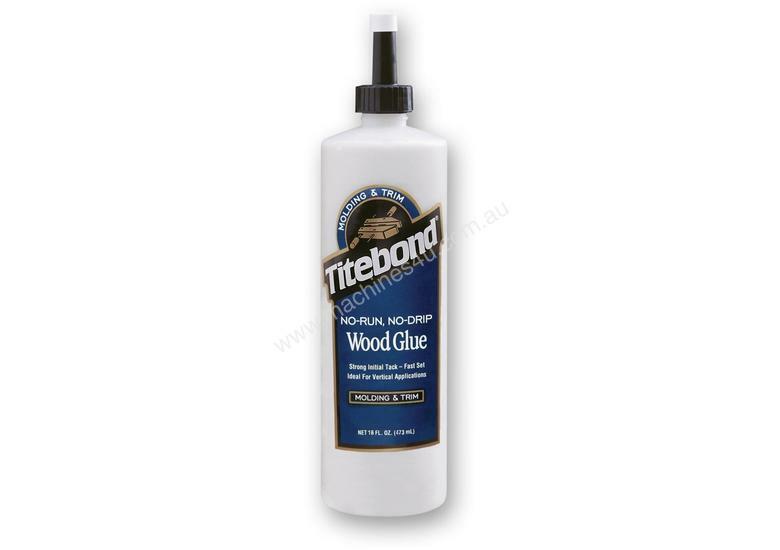 Titebond No-Run No-Drip Wood Glue is a thick fast drying glue designed to be used with porous and semi-porous materials. This makes it ideal for door and window trim, and other applications that requires glue to be applied in a vertical position, where regular glues just will not work. It has a super strong bond, stronger than the timber it is bonding, and is not affected by finishes. It has a fast tack, and sets fast, yet still allows work pieces to be realigned.